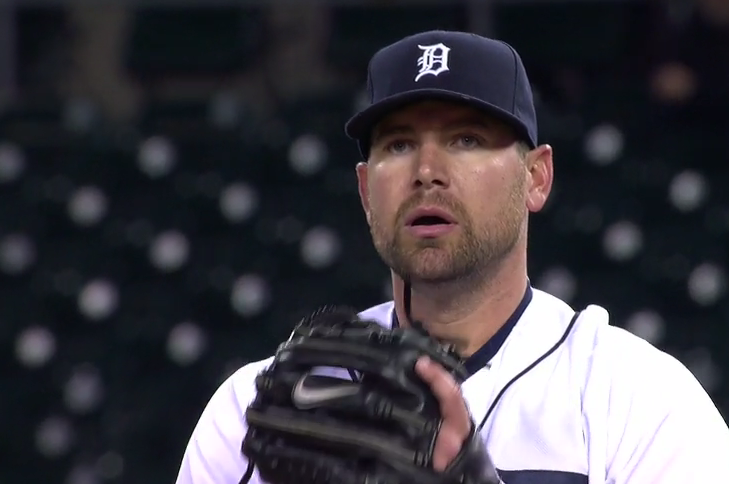 The box score from Tuesday night's game against the A's will tell you that Mike Pelfrey pitched 6 ⅔ innings, gave up nine hits, five earned runs, and took his fourth loss of the season. However -- repeat it with me now, in unison -- boxscores are lying bastards that conceal the truth. 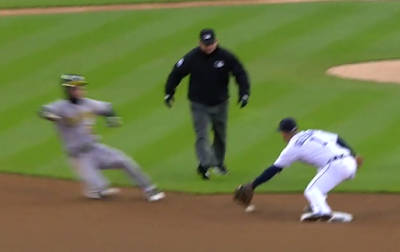 In an alternate universe, Josh Reddick gets caught stealing in the fourth inning because Jose Iglesias actually catches the throw from Jarrod Saltalamacchia. 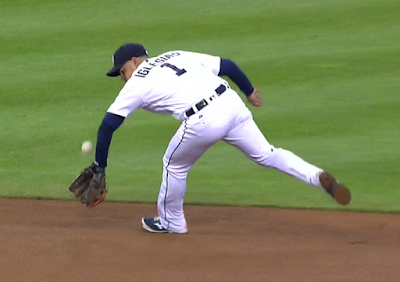 In an alternate universe, Jed Lowrie doesn't get a single that MLB's Gameday has to clarify as "deflected by shortstop Jose Iglesias." 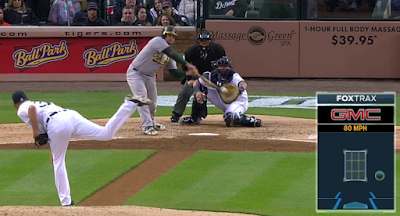 In an alternate universe, Stephen Vogt doesn't get a cheap-shot bloop double on a pitch low and out of the strike zone that sets up a run-scoring sacrifice fly for Coco Crisp. In an alternate universe, Mike Pelfrey gets all the way to the seventh inning before giving up two runs on a mistake pitch that ended up in the seats. In an alternate universe, the Tigers' offense scores, hell, even just one single run for Pelfrey. But none of that happened. Throws got dropped, grounders deflected off gloves, weak contact turned into doubles instead of (gods forbid it) turning into harmless outs, and the offense continued their impressive feat of failing to give Mike Pelfrey any runs at all while he remained in the game. That's four starts and 21 ⅓ innings with zero -- ZERO -- run support. I hear you, Big Pelf. I hear you.